September 9, 2014 – Colorado Astronaut Steve Swanson handed over command of the International Space Station to Maxim Suraev on Tuesday at 5:15 p.m. EDT in a traditional Change of Command Ceremony. 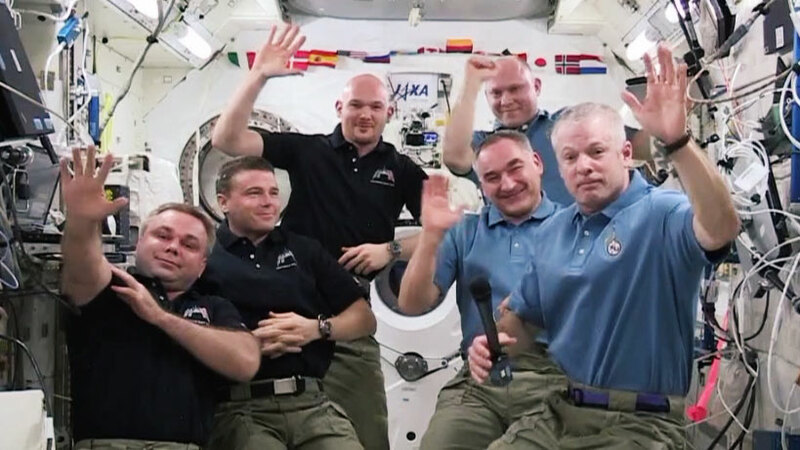 Swanson and his Expedition 39/40 crewmates, Skvortsov and Artemyev, are due to undock from the Poisk mini-research module on Wednesday at 7:01 p.m. officially ending their mission. They will land in Kazakhstan about 3-1/2 hours later. Watch NASA Television for live undocking activities on Wednesday. Coverage begins at 3:15 p.m. with crew farewells and hatch closure scheduled for 3:35 p.m. NASA TV will return at 6:45 p.m. for undocking coverage. Finally, landing coverage begins at 9:15 p.m. with the deorbit burn scheduled at 9:30 p.m. and landing at 10:23 p.m. You can view NASA TV online.